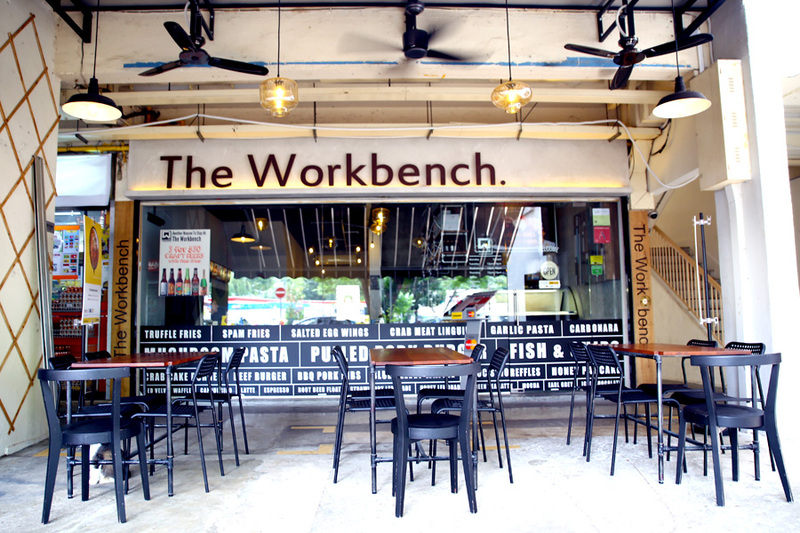 The Workbench Bistro – Hi AMK Folks, You Have Purple Sweet Potato Waffles, Lava Burger, Salted Egg Pasta Near You! 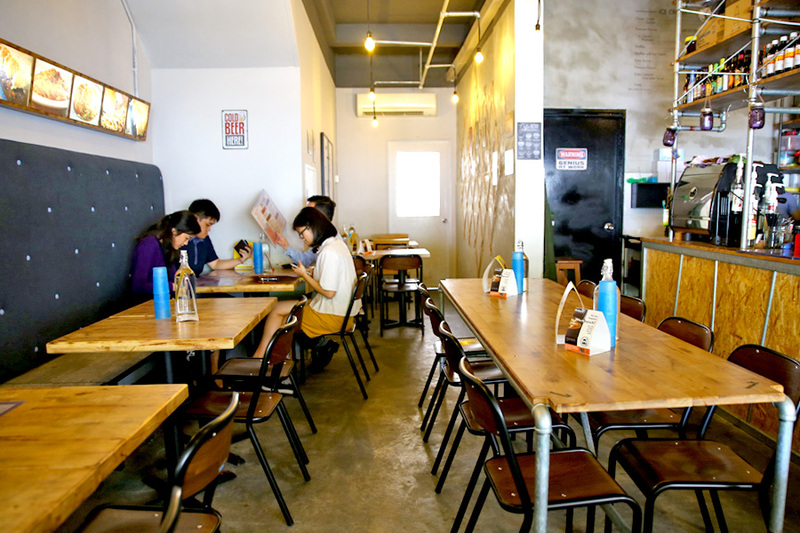 Is this Ang Mo Kio’s most hipster café? Possibly so. 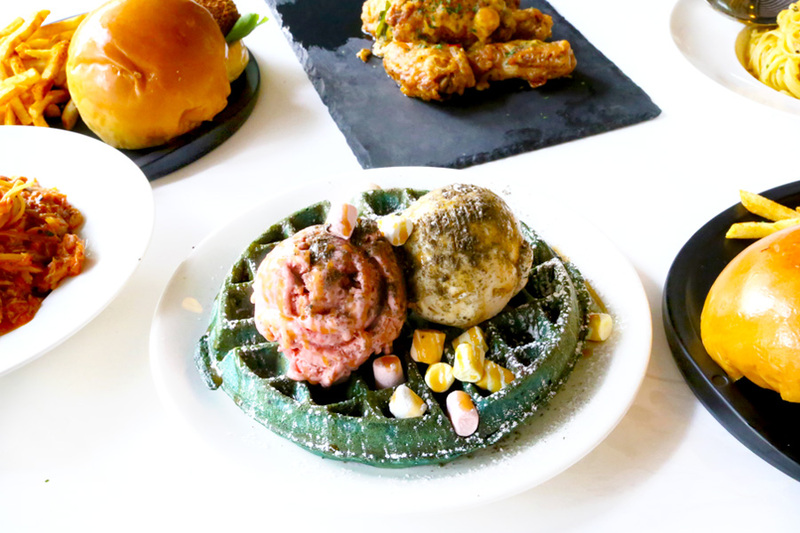 The Workbench Bistro has just gone through a menu revamp, serving some interesting (and unique) dishes from Egg Lava Beef Burger, Crab Cake Burger, Salted Egg Chicken Pasta, S’moreffles (S’more + Waffles) and… Japanese Purple Sweet Potato Waffles! 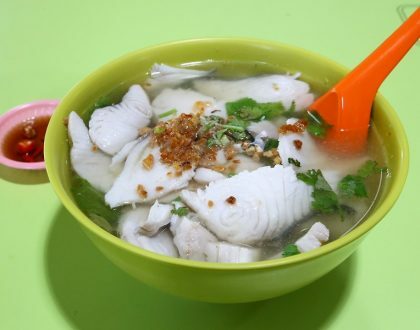 Who would have expected to find a café like this at Blk 332 Ang Mo Kio Avenue 1? A workbench is defined as a bench at which practical work is done. 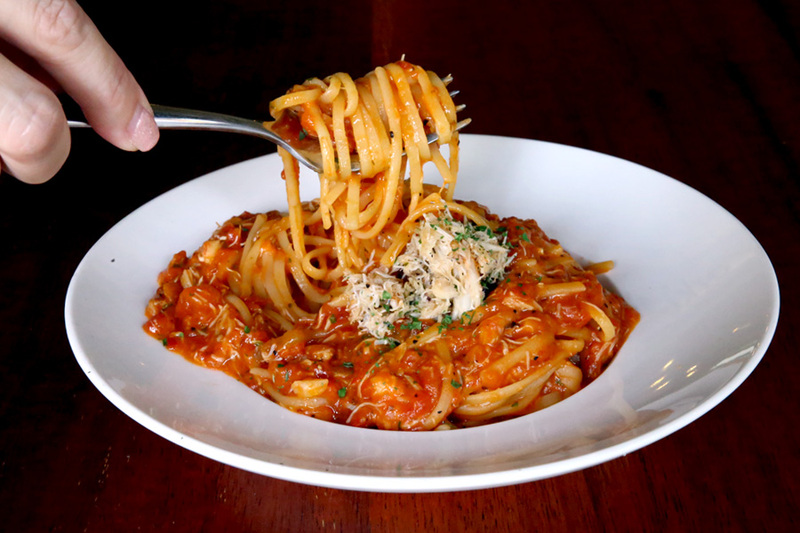 Therefore, the owners of Workbench Bistro want to treat the space as a place to create practical, honest to goodness food and hence the tagline “practical food creation”. 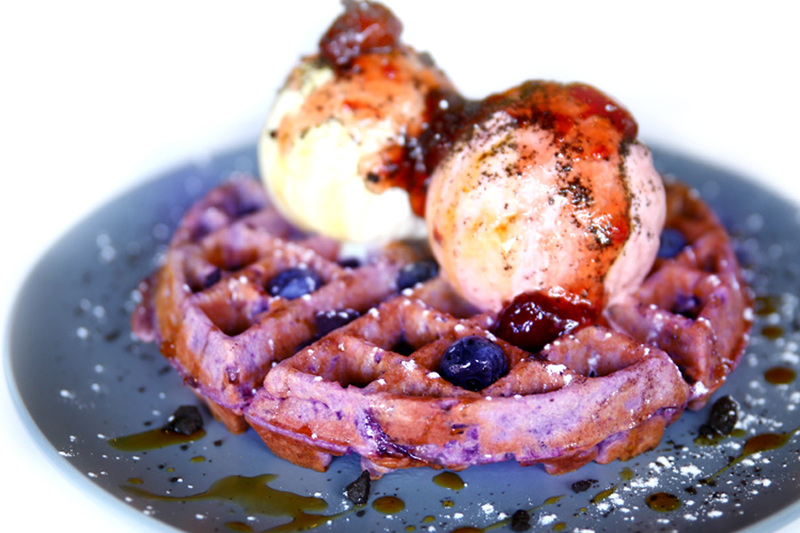 I am introducing this TWB Purple Sweet Potato Waffle first, because I have a hand in this… HAHAHA. 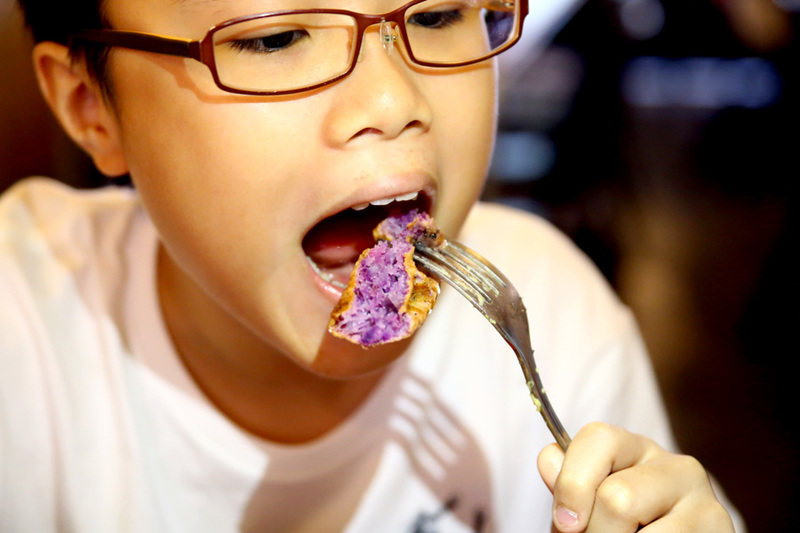 This waffle was freshly made using purple sweet potato with no additional colourings. 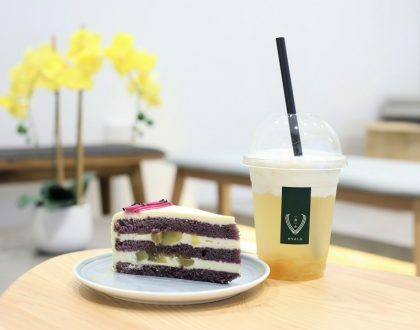 While the outer appearance looked slightly light brownish-purple, the inside revealed an appetising and Instagram-worthy royal purple colour. Further drizzled in homemade Gula Malaka sauce, paired with a big scoop of creamy ice cream, you could savour the sweet potato bits within. I would encourage you to share with a friend, because it could get quite heavy…. because carb alert. An uncle saw me having THIS burger and quickly ordered one too. This was quite THE looker. Just check out what goes inside – juicy beef patty, grilled bacon and cheese. But the highlight is the lava egg in the middle of the patty. I actually didn’t notice the runny yolk until I removed the coverings of generous portion of bacon. 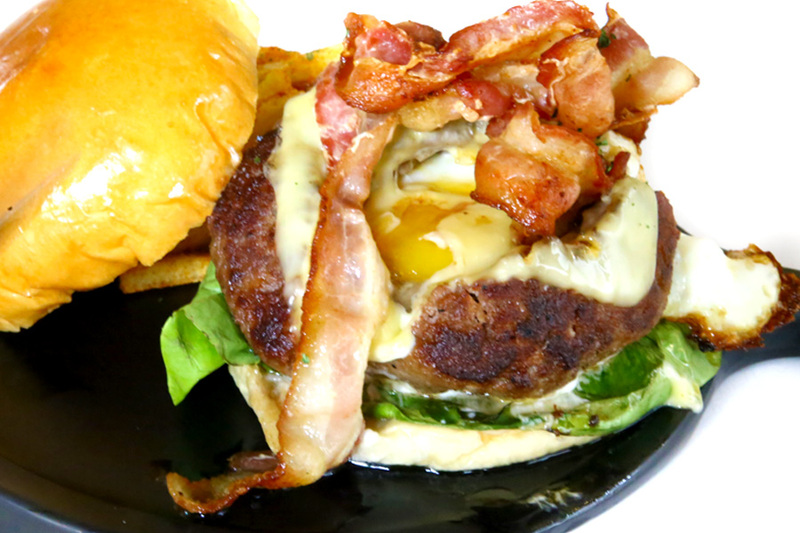 So as you cut through the burger, the oozing yolk could be mixed with the rest, providing a possibly-messy but sumptuous treat. 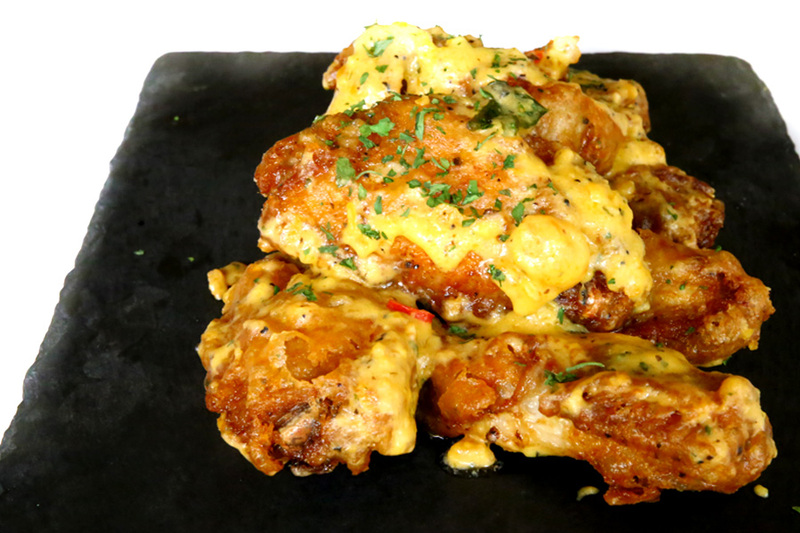 Just imagine that mouth-feel of tender beef, crispy bacon, gooey yolk and melty cheese coming ALL together. 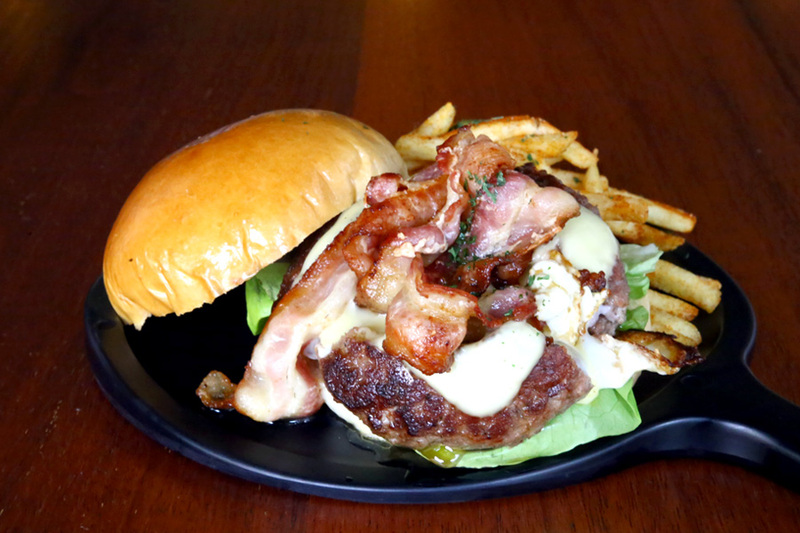 Other than the above, other burgers available include Crab Cake Burger ($16.90), Pulled Pork Burger ($16.90) and Salted Egg Chicken Burger ($16.90) – all sandwiched with freshly made brioche buns. 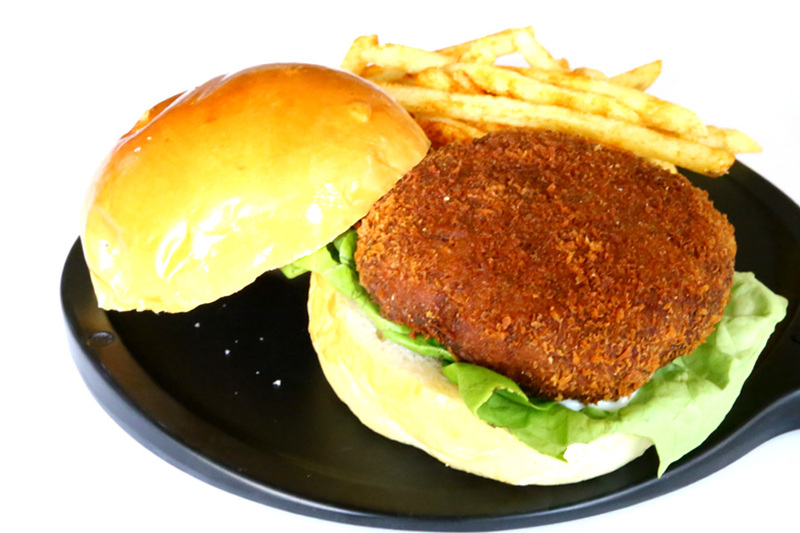 Surprisingly, the Crab Cake was a thick, sizable patty, made with sweetly fresh crab meat. Not the starchy, floury kind. I do think that the burger needed some kind of a sauce or something, say Japanese mayonnaise or a chilli crab sauce to enhance the overall texture. Have I mentioned that all the signature burgers are served with a complimentary side of Paprika Fries? This is The Workbench Bistro’s best-selling main course ($15.90), and also tasted much better than the first time I tried it. The café was also not stingy with their addition of ingredients. If you are into all-things salted egg, good news for you. 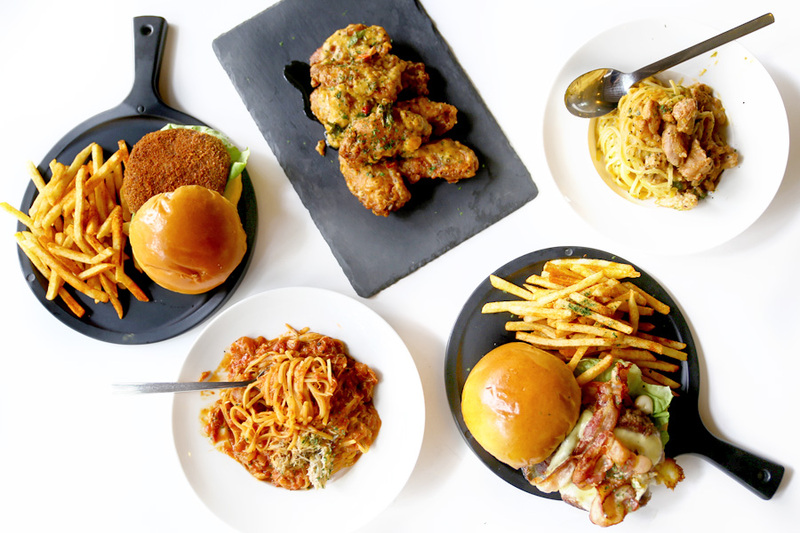 The Workbench Bistro offers MANY items which includes salted egg – Salted Egg Chicken Pasta ($15.90), Salted Egg Chicken Burger ($16.90), Salted Egg Wings and newly introduced Salted Egg Potato Wedges. 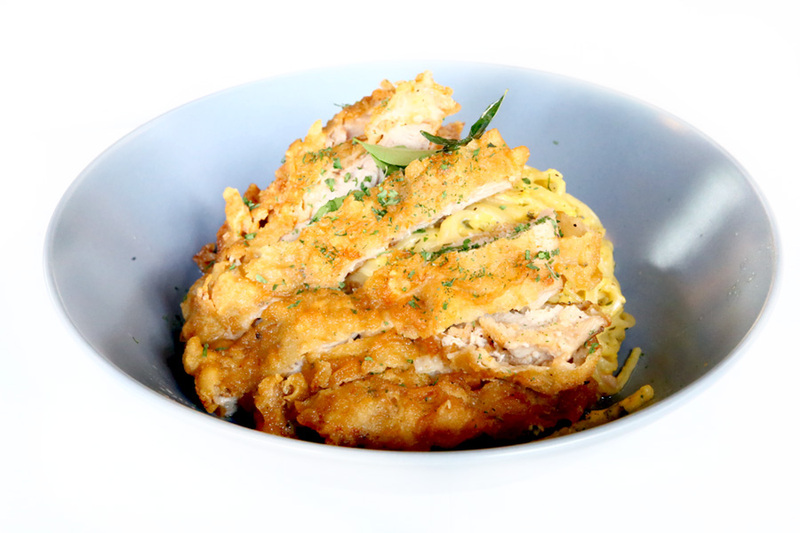 I had the Ver 2.0 of the The Salted Egg Chicken Pasta ($15.90), now with crispy Chicken Chop over linguine tossed in raw salted egg, curry leaves and chilli padi. The cutlet complemented the pasta much better than the Ver 1.0 (where grilled chicken was used), and the pieces were crisp and juicy. The Workbench Bistro emphasized that the salted egg sauce used was not from some bottle or can, and all made from scratch in the kitchen. So you could feel those grainy bits in the sauce. So have your wings while they are HOT! 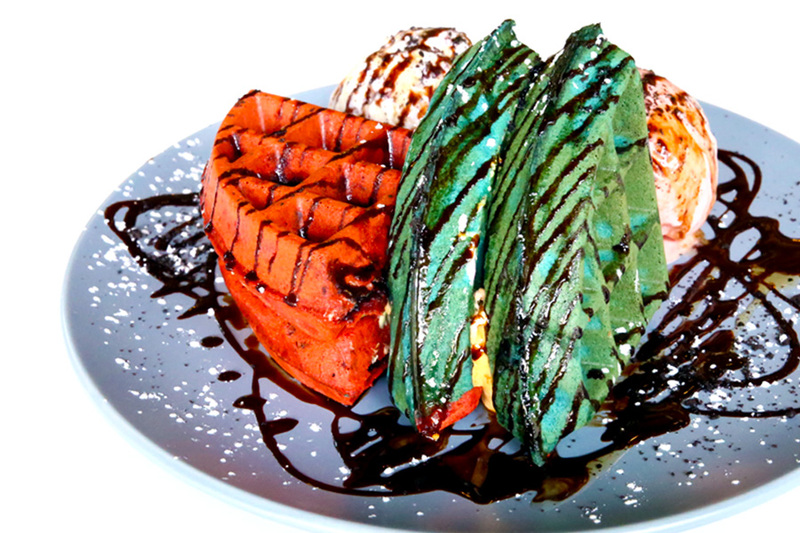 Instagrammable BLUE (something greenish) Velvet Waffles. The price is surprisingly affordable too at $5.50, or $8.80 with a big scoop of ice cream and sauce. Or you can get the Chocolate S’moreffles ($7.50, $10.80 with ice cream) which offers a combination of both blue and red velvet waffles. There is some chocolately taste in the red velvet, while the blue had marshmallows sandwiched in between which could provide a stretchy, sticky pull in the middle. A S’moreffles Supreme ($29.90) version is available where three waffles are stacked together, with marshmallows, strawberry jam, oreo sandwiched in the middle, topped with whipped cream and FOUR scoops of ice cream. 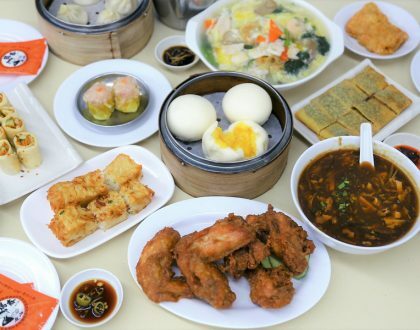 Plus, the cafe would constantly introduce NEW dishes for their regulars. When I asked the owner what his source of inspiration was, he said as a matter-of-factly … ”Tasty videos”. WOW. He constantly watches these cooking videos in this free time to continue to innovate and excite customers. From AMK bus interchange: Take bus 22, 24, 135 or 262 and alight at the 3rd bus stop. From BISHAN bus interchange: Take bus 50 and alight at the 5th bus stop. 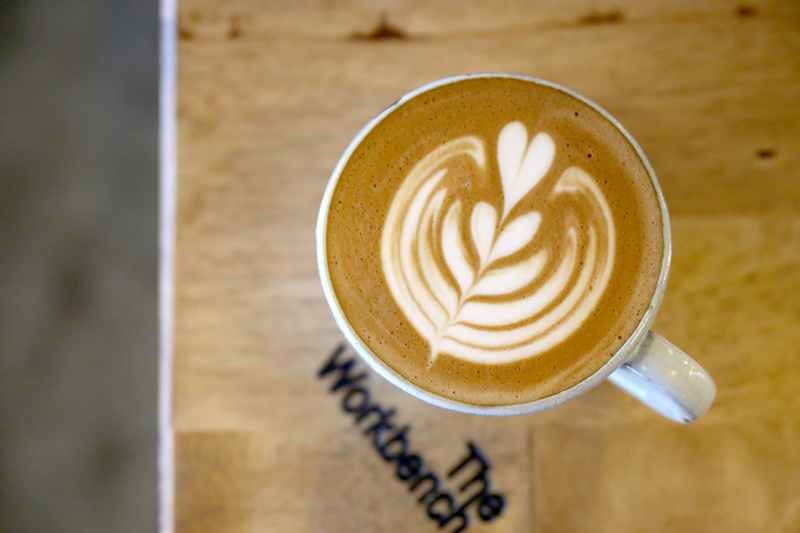 * This entry is brought to you in partnership with The Workbench Bistro.